Sasha Sokolov is one of few writers to have been praised by Vladimir Nabokov, who called his first novel, A School for Fools, "an enchanting, tragic, and touching book." 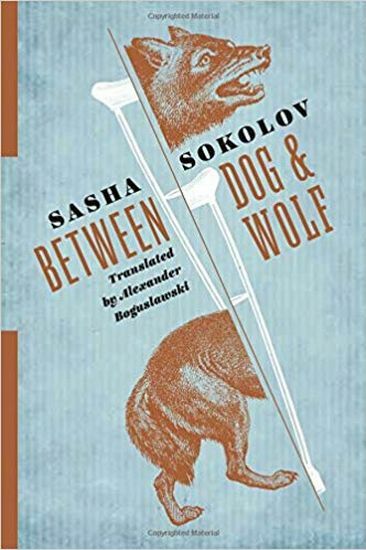 Sokolov's second novel, Between Dog and Wolf, written in 1980, has long intimidated translators because of its complex puns, rhymes, and neologisms. Language rather than plot motivates the story?the novel is often compared to James Joyce's Finnegans Wake?and time, characters, and death all prove unstable. The one constant is the Russian landscape, where the Volga is a more-crossable River Styx, especially when it freezes in winter. Sokolov's fiction has hugely influenced contemporary Russian writers. Now, thanks to Alexander Boguslawski's bold and superb translation, English readers can access what many consider to be his best work. «Между собакой и волком» — постмодернистский роман Саши Соколова, написанный в 1980 году в США. По мнению критиков мир романа «Между собакой и волком» — это мир ужаса и хаоса. «Между собакой и волком» — автобиографический роман, так как Саша Соколов работал егерем на Волге.